I’ve fallen in love with the Marche region of Italy. I will be sharing more and more of this love with you. June 2, 2018 we visited Ascoli Piceno. 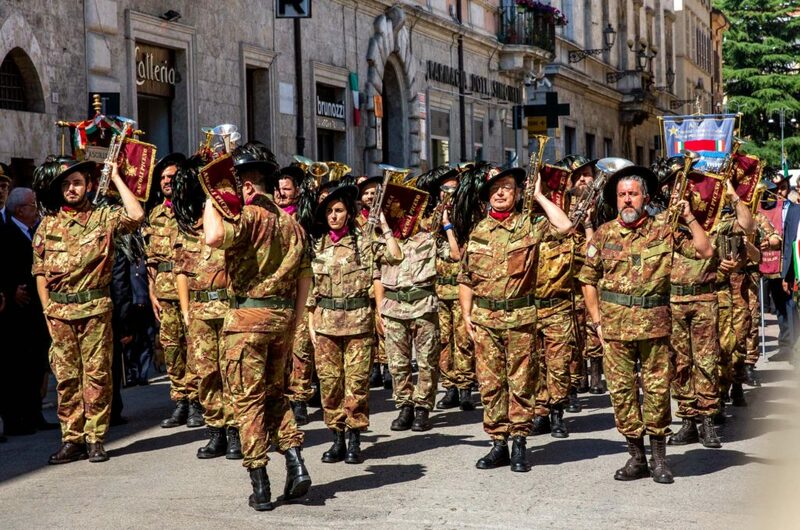 There we saw a Bersaglieri fanfare present itself at the occasion of the Day of the Republic. 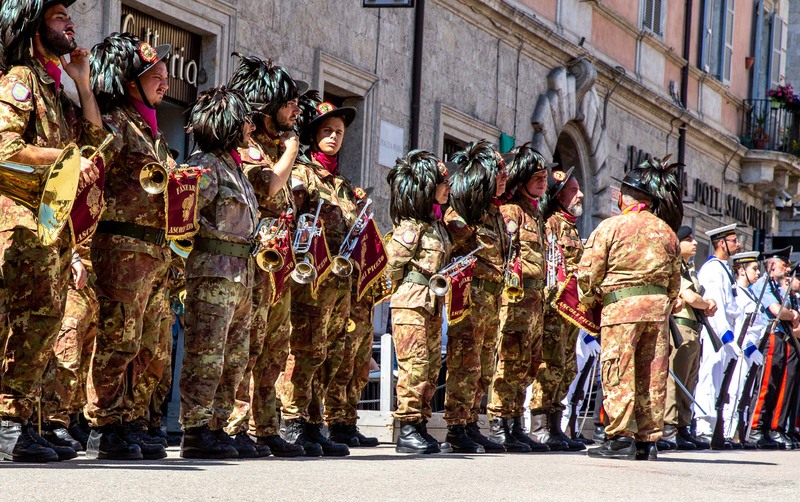 Bersagieri are elite soldiers of the Italian army. They don’t walk, but they stroll with a quick pace. 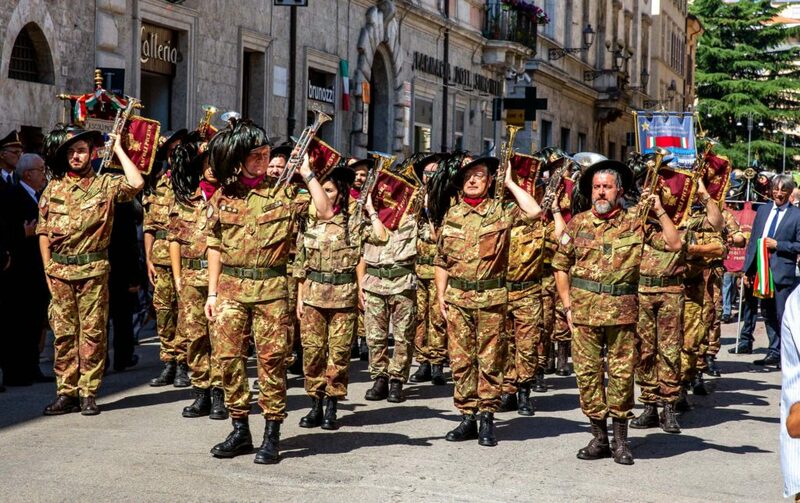 Founded in 1836 by Captain Alessandro La Marmora, they became part of the Piemontese military. Impressed with their might and mobility, King Charles Albert ordered the Bersaglieri into the Royal Italian Army. 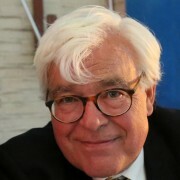 On September 20, 1870, they earned some notoriety when they seized Rome, freeing the city of the Pope’s rule, and further consolidating Italy’s total unification. After the march the friend of the lady carried her trompete caringly.